This new CD tells the story of what it was like to be in a very successful rock band (Uriah Heep) in the 70’s.. The ups, downs, highs and lows are all put into songs and music. The CD packaging is one of the nicest you are going to see these days with a fantastic fold out digipack design and beautiful booklet telling the whole story. He is joined by several guest vocalists, including Glenn Hughes, Jørn Lande, John Lawton, and Eve Gallagher. I actually prefer Ken’s voice the best. So what is the music like?? I wish I could tell you that it was like classic 70’s Uriah Heep but sadly it is not. IT is rock and roll for the older generation, who have softened with time. Melodic, radio friendly, rock music, mostly ballads. Don’t get me wrong, the playing is great and the songs are strong but it is just a little too predictable and routine. The opening track (This is) Just the Beginning and the next 4 feature Jørn’s very soulful voice and all the elements I just spoke of. It won’t Last features John Lawton, another very bluesy vocalist. Think Twice is a ballad and features the vocals of Eve Gallagher. These two interlude parts are quite interesting to have thrown in. Each is called Doom Scene 1 and 2 and is just short sentences. 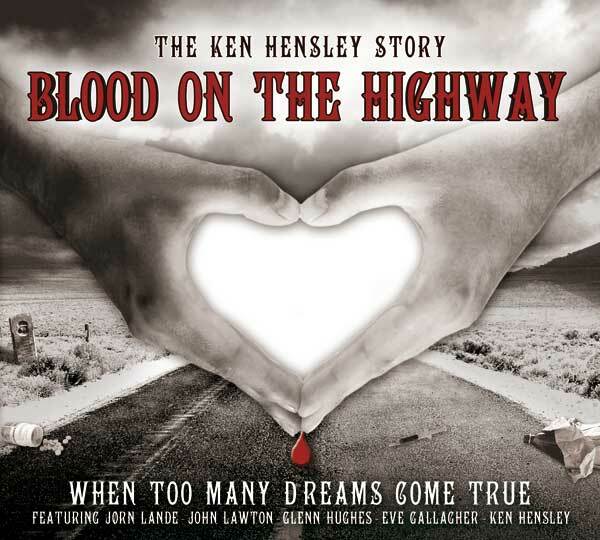 Fans of Ken will dig this stuff and if he could get on the American radio classic rock, there are half a dozen hits here and it tells a nice story as well. Okay, is a real Uriah Heep like rock song but it is the only one on the record that really rocks out! What you gonna do is another ballad and features Glenn Hughes. I did it all, another ballad, that had to be sung by Ken, of course.. The Last Dance is the longest track at 8½ minutes and features Glenn Hughes as well as string arrangement.